You may think you don't need a design for your project, but most of the time you are wrong…that may seem like a bold statement but we can explain ourselves! 1) Selection Process- At first you may think your project should be pretty simple to do. This is because there are so many questions you do not think of beforehand which can all be solved with a professionally made design specifically made for your project! Let’s take a powder room for example. You may know what tile you want, but is it water resistant? What type of grout do you need? Do you want heated flooring? Will you install any cabinets? How about the sink fixtures? How about paint color and crown molding? And the list continues. If you have the space designed licensed architects, interior designers and cabinet designers will present you with all these options to make it an exciting experience instead of a stressful one! 2) Your Budget – Keeping you within your budget is one of our main priorities while designing your project! This is why we give you a base price and then give you a list of extra features which you can add. We break the costs down with a menu-based pricing, that way you know exactly how much everything costs which will help you decide what you really want in your project and you won’t be surprised by any hidden fees! 3) Speed- Having a professional design for your remodeling project will speed up the project significantly! Everyone involved knows exactly what has been selected for every aspect of the project, so supplies can be ordered on time to get you into your dream space ASAP! Whatever size your project is, a design will bring the space to life and maximize your investment because you can be positive it will be done correctly! Don't we all want that assurance for our dream space! 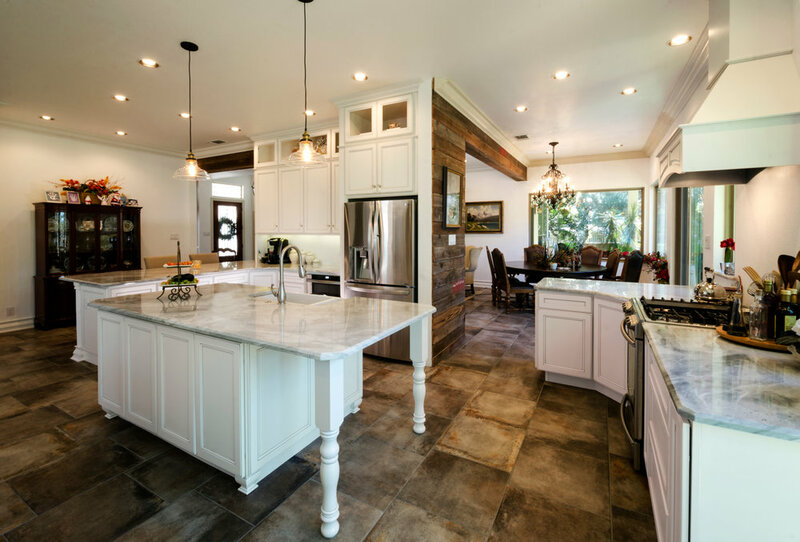 ----KM Builders is San Antonio’s premier design-build remodeler specializing in kitchens, bathrooms, room additions and whole-house remodeling. We boast the largest in-house staff in San Antonio offering architectural design, interior design, and cabinet design for all your home remodeling needs! Happy Tuesday! Wouldn't you love a home library like this? Give us call at 210-680-5626 for any specialty room project! Sign up for free today and you’ll get our “4 Secrets to a Seamless Remodel” as our gift to you for joining the KM Insider club! Design the Experience. Experience the Design. © 2018 KM BUILDERS 210.680.5626 - A San Antonio Remodeling Firm.